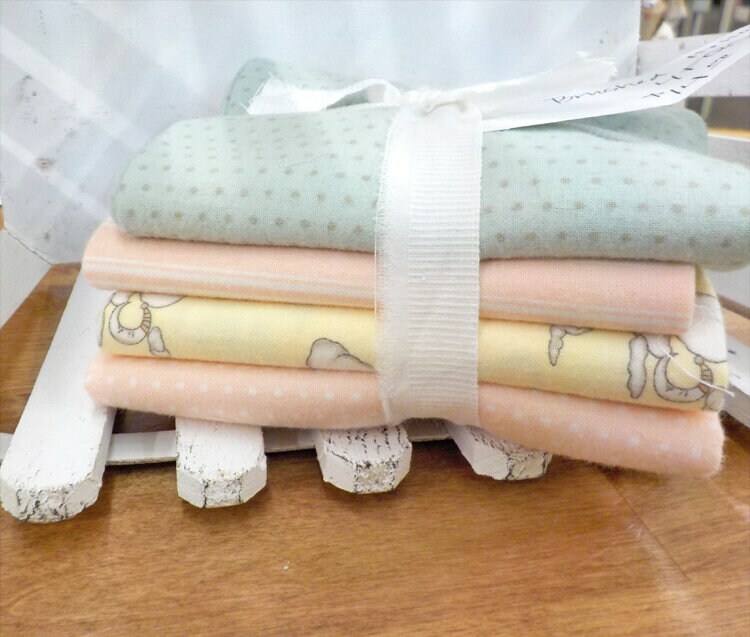 Hushabye Baby features prints from Hushabye Hollow a soft, sweet collection...perfect for anyone who prefers a gentle palette. 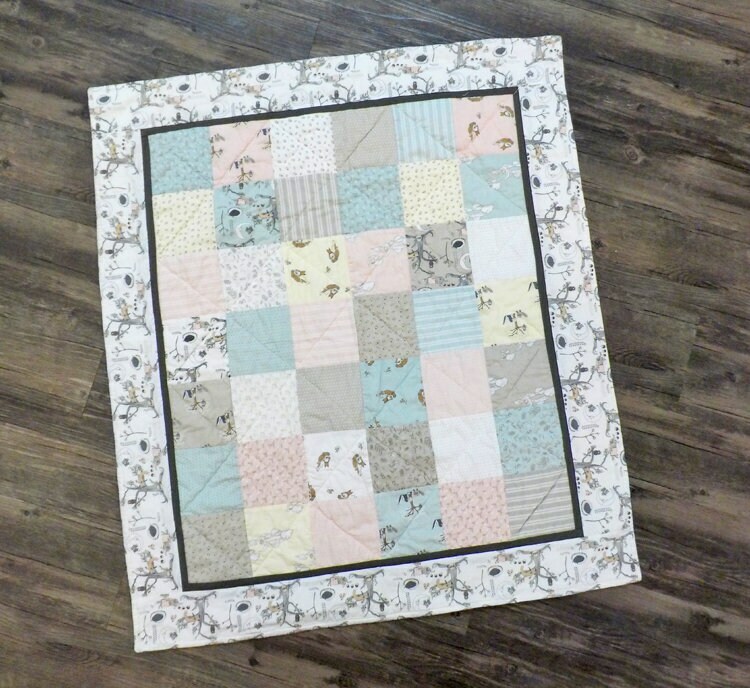 Hushabye Baby makes use of simple 5 inch squares and a cozy brushed cotton backing. Hushabye Baby measures just 34 x 38 inches. Beautiful fabric, quick ship, HIGHLY recommend!